Plants that grow without soil are called hydroponics. Hydroponic growing can be in rock, wool, gravel, liquid or speciality ‘soil’ mixes that aren’t really soil at all. It can be done inside and outside and growing without soil helps you protect your plants against all sorts of nasty bacteria, insects and chemicals that can be present in soil. Hydroponic growing gives you more control over your crops, making it easier to regulate the light and heat as well as the nutrients that your plants need. Generally, hydroponic growth systems generate higher yields and shorter growth cycles. 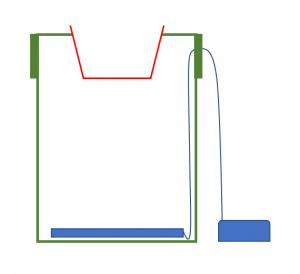 There are different types of hydroponics bucket systems with different advantages. 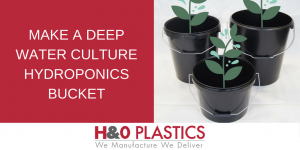 Ebb and flow and drip top systems are popular, but in this post we will deal with deep water culture (DWC) hydroponic bucket systems. DWC systems are more popular with at-home hobby growers. DWC systems are essentially systems that feed one plant per bucket. The system is characterised by having a plant’s roots suspended in a nutrient bath, and ensuring a constant flow of air from below to make sure the plant doesn’t suffocate and drown. DWC growing tends to give larger yields because the roots have more space and can run freely to absorb all of the nutrients that feed them. In this way you make your plants grow much more efficiently. It is a good system if you only have a small space to grow a few plants. You can buy these hydroponic buckets readymade, but this is quite an expensive option, especially when the materials are cheap and the bucket systems are quite easy to make. You can make more sophisticated systems, where the water flow is automated by a larger ‘brain’ bucket. These systems are good for taking care of a lot of crops, for example in commercial grow operations, but for the purposes of this explanation we will show you how to make a basic single bucket hydroponic system. Take a 10, 20 or 25 litre bucket and drill a small hole near the top that is just wide enough to feed your air line through. It is important to use a food grade bucket to prevent chemicals from the plastic leeching into the water and affecting your plant. This can happen with non-food grade buckets if they are re-used over and again. Using a craft knife and drill, carefully cut a circular hole in the lid that is wide enough to let the net pot rest snug on top of the bucket. 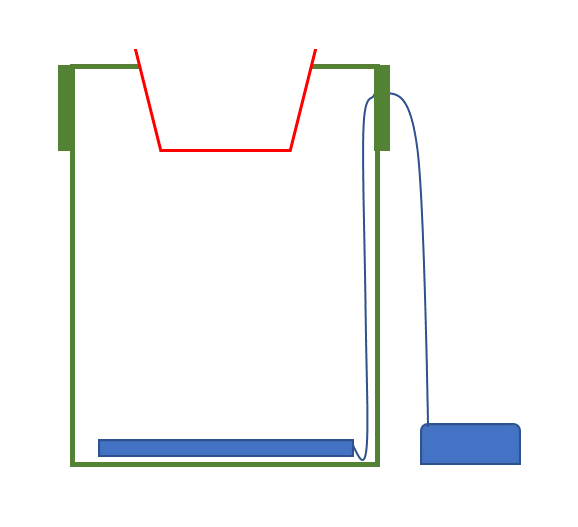 Place your air stone in the bottom of the bucket and connect it to the pump through the air line. Put water in the bucket and switch the pump on to make sure it works.